Fortunate to be able to purchase a distinguished property close to where they worked in the City, our clients were looking for bespoke furniture of the highest quality as part of a sympathetic restoration project. The property had been untouched for many years, and as such still retained many of its original features: fine sash windows, working panelled folding shutters, beautiful timber architraves and skirtings, along with intact plaster cornice. 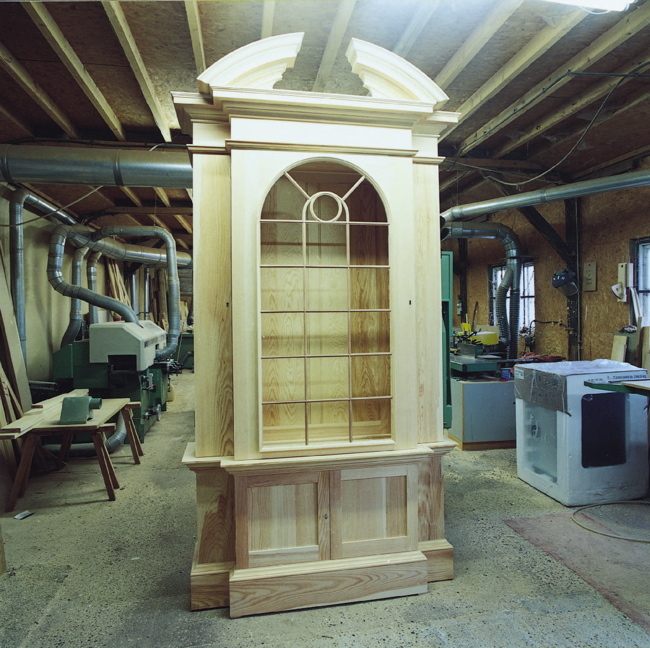 In their requirement for four alcove bookcases, we were requested to take our design cue from original features where possible. 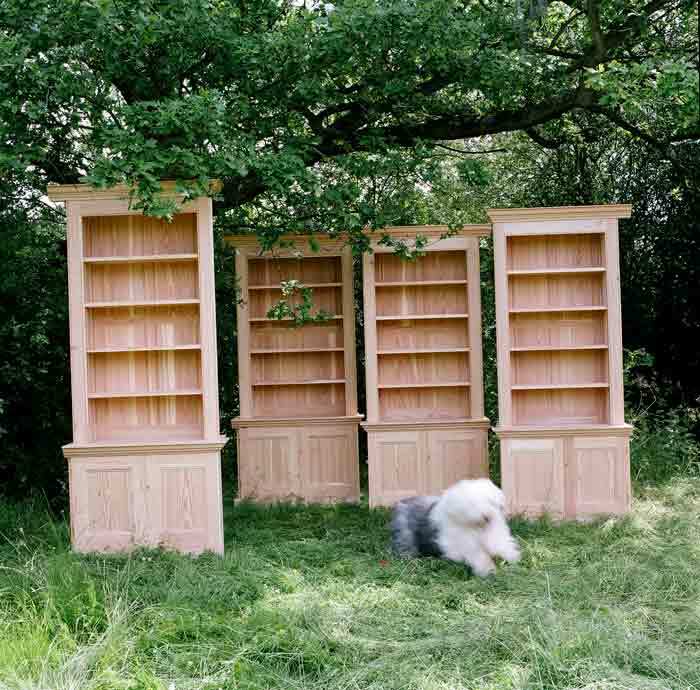 The bookcases were supplied in solid larch throughout, with framed flush-panel backs; framed and panelled lower doors; and a small bead detail running round the front that framed the upper bookcases. Once installed, the cabinets were finished with water-based eggshell primer.